Hastelloy Wire Supplier-Hastelloy C276, C22, etc. 1: Hastelloy wires offer high corrosion resistance at elevated temperatures. 2: They are used for aerospace, chemical plants, pollution control and other industries. Hastelloy wires are high strength, corrosion resistant materials that are used for aerospace, chemical plants, pollution control and other industries. Hastelloy alloys are known for offering high corrosion resistance at elevated temperatures. They successfully prevent pitting, stress corrosion cracking and oxidation up to 1900oF. Hastelloy wires are well suited for diverse chemical applications. Hastelloy B2 Wire: Alloy B-2 has good resistance to reducing environments, chloride based stress corrosion cracking and many organic acids. It is preferred for use in chemical processes including sulfuric, phosphoric and hydrochloric acid. 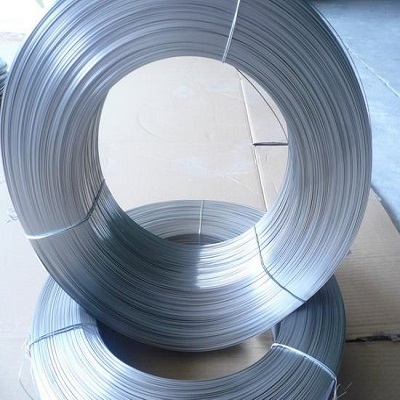 Hastelloy B3 Wire: Alloy B-3 has outstanding resistance to pitting, general corrosion and stress corrosion cracking in addition of good heat conductivity. It is superior to Hastelloy B-2. It offers excellent resistance to HCl acid at all concentration and temperature values. Hastelloy C-4 Wire: It has outstanding stability at high temperatures with good ductility and corrosion resistance up to 1900oF. It is fit for many chemical applications in welded condition. Hastelloy C-276 Wire: It supreme corrosion resistance and good fabricability. It is a recommended material for multiple chemical and petrochemical processing applications even in welded condition. Hastelloy C-2000 Wire: Alloy C-2000 offers outstanding resistance to pitting, crevice and stress corrosion cracking. It has greater versatility than other Nickel –Chromium-Molybdenum alloys with improved high temperature stability in various industrial acid processing media. Hastelloy X Wire: It is fit for furnace applications, it offers excellent resistance to oxidizing, reducing and neutral environments. The alloy is also used in jet engine components, afterburner parts, cabin heaters and aircrafts. Hastelloy G-30 Wire: Alloy G-30 has superior corrosion resistance compared to nickel and iron based alloys when against phosphoric acids and oxidizing acids. It prevents the development of grain boundary precipitates in the heated region that make it fit for use in the chemical process applications in the welded form similar to Hastelloy C grades.